Natalie Maines, former singer for the Dixie Chicks, placed the group at the center of controversy in 2003, when she publicly criticized George W. Bush's decision to invade Iraq. Natalie Maines, known for her huge success with the Dixie Chicks, goes solo with Mother. Natalie Maines doesn't hesitate to make audacious moves, and wresting away "Mother" — Roger Waters' hymn to oppressive maternal authority figures from Pink Floyd — is the biggest one on her first solo album. Maines takes the "Mother" from Pink Floyd's The Wall and deconstructs it, emotional brick by emotional brick. She rebuilds the melody and radically alters the vocal intonation of the lyric to render it resilient enough for new interpretations. "Mother" becomes a plea for understanding; to come to terms with difficult relationships through love and trust. Which, among other things, could be heard as Maines' attempt to reach out to Dixie Chicks fans, both present and former, loyal and hostile. In "Without You," Maines remakes yet another man's song — Eddie Vedder's — and turbo-charges it with pop-rock fuel. Her voice is surgingly strong; by the time she hits the chorus, it's easy to realize how much you've missed the kind of shrewdly pushy music Maines made with the Dixie Chicks. At the same time, you're hearing her voice in a new context. The rock edge is especially appealing: Maines may have approached "Silver Bell" as a release of pent-up energy, frustration or even anger, but the result is a controlled pleasure. When Natalie Maines remarked from a London stage in 2003 that the Dixie Chicks were "ashamed the president of the United States is from Texas," she was criticizing Iraq War policy in a manner that would earn her instant condemnation and worse, even as her take on that war would eventually become a majority opinion in the U.S. No matter: What she and her groupmates felt in immediate response wasn't just an overreaction from a segment of the country-music audience. It was also the cowardice of a music industry running scared from blunt political ideas in a perilous industry economy. There's a tendency, therefore, to hear every song on this album as some sort of response to Maines' life-altering remark and her subsequent public retreat. It lurks here and there, to be sure, but after the first few listens, Mother becomes the work of a mother, wife, feminist, teammate and solo artist taking her place in the public square once again, making stubbornness sound like a kind of freedom. It's too bad that the most vulnerable elements of this collection derive from Natalie Maines' closest collaborator on it: Ben Harper, who co-produced the album with her, and who wrote or co-wrote its two weakest songs, "Vein in Vein" and "Trained." But look at everything else Maines has accomplished here: She's made a flinty album, covering all sorts of songs — including one that even inserts a backbone into a limp Jeff Buckley composition. While it's unlikely that this assiduously eclectic album will find an audience as large as she did with the Dixie Chicks, Maines has made a recording that roils with a well-rested, restless urgency that's capable of thrilling anyone with the good sense to seek it out. This is FRESH AIR. Natalie Maines, who's best known as part of the trio the Dixie Chicks, has released her first solo album. It's called "Mother." She's kept a low profile since a controversy erupted over the remarks she made at a 2003 concert criticizing then-president George W. Bush. Maines' new album moves beyond country music to include pop, rock and a cover of the Pink Floyd song that is also the album's title. Rock critic Ken Tucker has a review. NATALIE MAINES: (Singing) Mother, do you think they'll drop the bomb? Mother, do you think they'll like this song? KEN TUCKER, BYLINE: Natalie Maines doesn't hesitate to make audacious moves, and wresting away Roger Waters' hymn to oppressive maternal authority figures from Pink Floyd is the biggest one on this album "Mother." Maines take the "Mother" from Pink Floyd's "The Wall" and deconstructs it, emotional brick by emotional brick. MAINES: (Singing) Ooh, ah, mother should I build a wall? TUCKER: She rebuilds the melody and radically alters the vocal intonation of the lyrics to render it resilient enough to accommodate new interpretations. "Mother" becomes a plea for understanding; to come to terms with difficult relationships through love and trust. Which, among other things, could be heard as Maines' attempt to reach out to Dixie Chicks fans, both present and former, loyal and hostile. MAINES: (Singing) I'll grow when you grow. Let me loosen up the blindfold. I'll fly when you cry. Lift us out of this landslide. But wherever you are whenever we part, I'll keep on healing up the scars that we've collected from the stars. I'd rather this than live without you. TUCKER: That's Natalie Maines remaking yet another man's song, Eddie Vedder's "Without You" and turbo-charging it with pop-rock fuel. Her voice is surgingly strong. By the time she hits the chorus, you realize how much you've missed the kind of shrewdly pushy music Maines made with the Dixie Chicks. At the same time, you're hearing her voice in a new context. The rock edge is especially appealing. Maines may have approached a song such as "Silver Bell" as a release of pent-up energy, frustration or even anger, but it results in a controlled pleasure. TUCKER: When Natalie Maines remarked from a London stage in 2003 that the Dixie Chicks were, quote, "ashamed the president of the United States is from Texas," she was criticizing Iraq War policy that would earn her instant condemnation and worse, even as her take on that war would eventually become majority consensus. No matter. What she and her groupmates felt in immediate response wasn't just an overreaction from a segment of the country-music audience. It was also the cowardice of a music industry running scared from blunt political ideas in a perilous industry economy. There's a tendency, therefore, to hear every song on this album as some sort of response to Maines' life-altering remark and her subsequent public retreat. 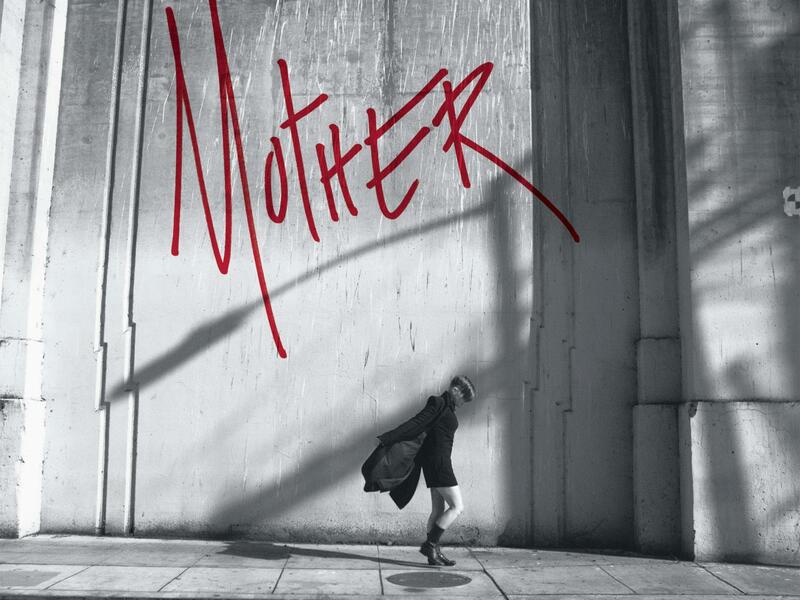 It lurks here and there to be sure, but after the first few listens, this album "Mother" becomes the work of a mother, wife, feminist, teammate and solo artist taking her place in the public square once again, making stubbornness sound like a kind of freedom. MAINES: (Singing) I could take a hint from you. I could take a little hint from you and I'd run away. I'd run away with you, baby. Yeah. I'd run away. I'd run away with you, baby. You said a couple things to me. You said a couple things that show me your face and how many ways, how many ways can I stay? Yeah. Yeah, how many ways? TUCKER: It's too bad that the most vulnerable elements of this collection derive from Natalie Maines' closest collaborator on it - Ben Harper - who co-produced the album with her, and who wrote or co-wrote its two weakest songs, "Vein in Vain" and "Trained." But look at everything else Maines has accomplished here. She's made a flinty album, covering all sorts of songs, including one that even inserts a backbone into a limp Jeff Buckley composition. While it's unlikely that this assiduously eclectic album will find an audience as large as she did with the Dixie Chicks, Natalie Maines has made a recording roiling with a well-rested, restless urgency that's capable of thrilling anyone with the good sense to seek it out. 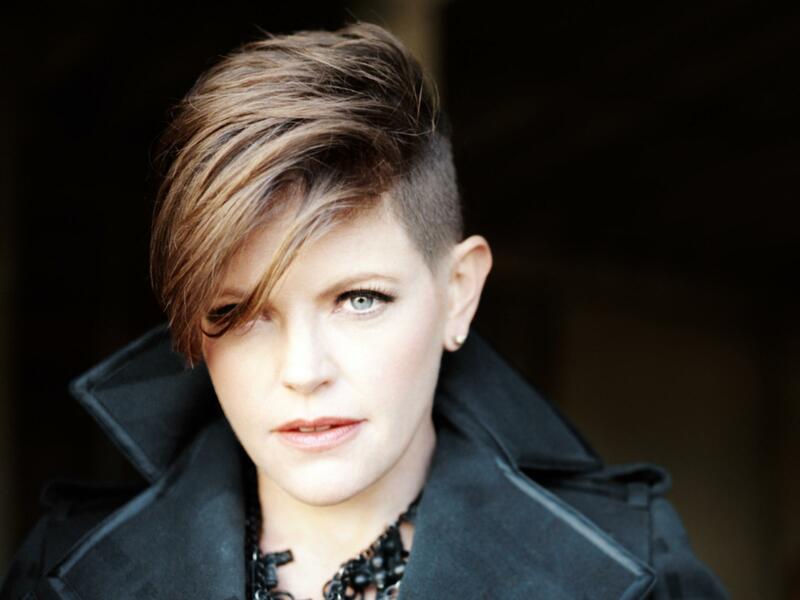 GROSS: Ken Tucker reviewed Natalie Maines' new album, "Mother." You can download podcasts of our show on our website freshair.npr.org, and you can follow us on Twitter at nprfreshair and on Tumblr at npr.freshair.tumblr.com. Transcript provided by NPR, Copyright NPR.